There are 8 posts tagged cities (this is page 1 of 2). Last year I spent a lot of time away from home but it wasn’t great for travel per se. I spent nearly two solid month’s at my mom’s place before and after she died. I can’t quite say that I enjoyed it, but being in one place, in that place, was useful for me. 2018 is going to be a year of less travel I think. I’ve got two airplane trips planned and I’m not planning to add any more. Here are all the places. Seven states. Three provinces. Stars indicate multiple visits to the exact same place. Past years: 2016, 2015, 2014, 2011, 2010, 2009, 2008 2007, 2006, 2005. Here are photos of the places I slept in 2016. I only took airplanes twice for travel last year (once to London and points south and once to San Francisco) so a lot of these places are closer to home. There was also a treehouse. And a very fancy hotel in Boston. And a place with no running water up a mountain near me. And one redeye flight. Lots of multiple visits. Two real vacations. Summer at #dadshouse. Twenty-seven places that were not my place or a family member’s place. You can tell I’ve ramped up traveling when you compare it to last year. Eleven states. Three UK locations. Stars indicate multiple visits to the exact same place. 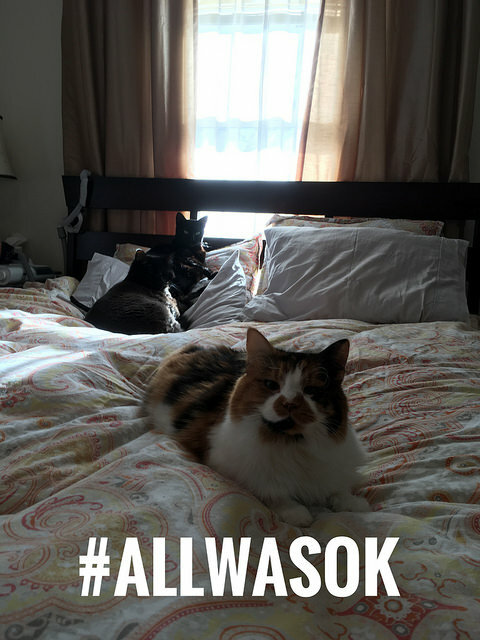 AirBnB links for your convenience. Past years: 2015, 2014, 2011, 2010, 2009, 2008 2007, 2006, 2005. Michigan City IN – a weird motel but I liked it! Boston MA – why wasn’t this place better? It looks amazing. Painted Post NY – looks like not much but was the best! 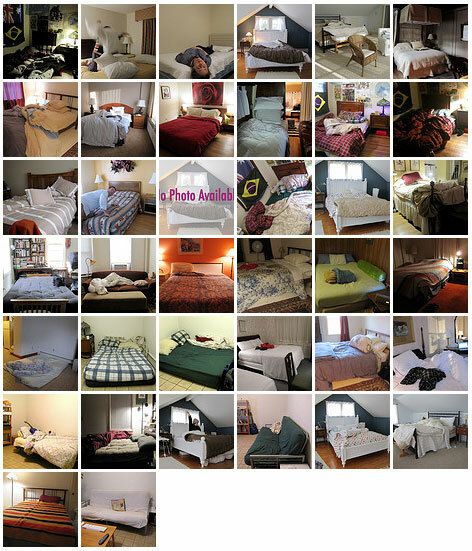 Here are photos of the places I slept in 2015. Another short list. Now that I’ve solidly put my dad’s place on the my “projects and hobbies” todo list, I travel to other non-dad’s-place places less. So even though I didn’t go to too many places in 2015, I was away from home for several months. Which was fine. Here’s the short list. Twelve places plus an airplane, six different states, one non-US country. Stars indicate multiple visits to the exact same place. Past years: 2014, 2011, 2010, 2009, 2008 2007, 2006, 2005. 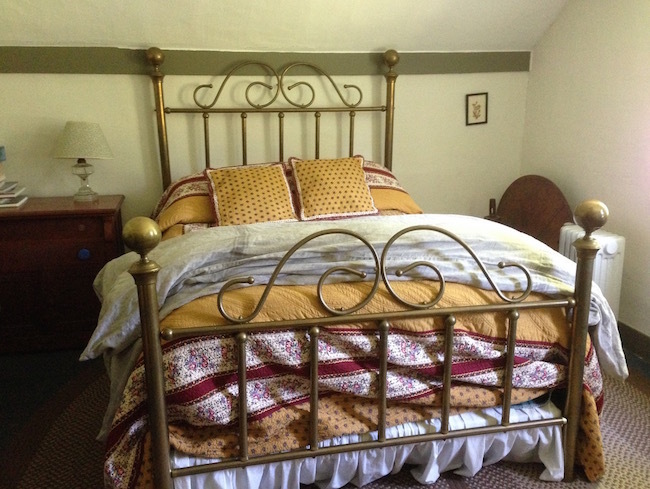 Stow MA* – stayed at Kate’s place quite a few times, very nice guestroom, constantly improving. Aboard a British Airways flight – we got upgraded to business class, very nice. 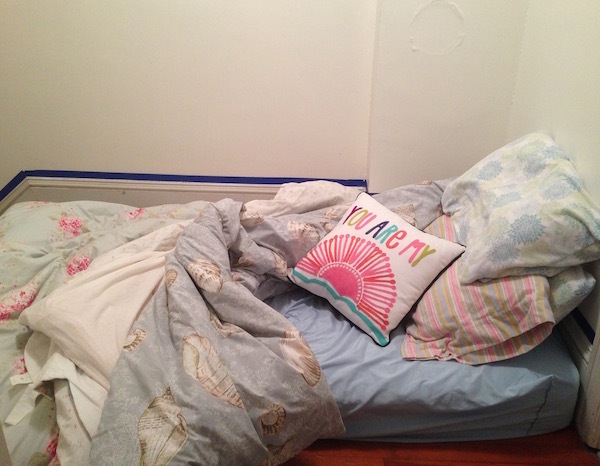 London UK – I got the bottom bunk in the tiny bunk bed room and found it quite to my liking. 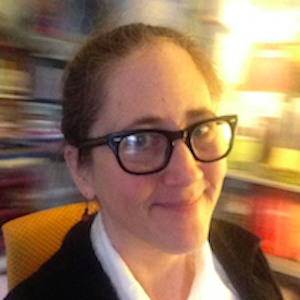 Boxboro MA – visited Mom when I was planning to stay in a hotel with Jim and the hotel was full of children. Good decision. Bangor Maine (2) – gave a talk to a bunch of fun librarians and had SO many pillows. Stayed at a hotel across the street the next time. 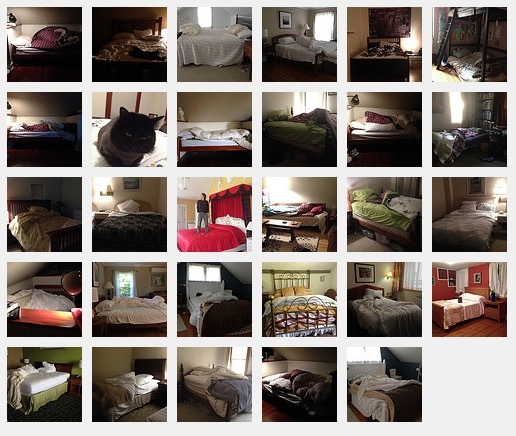 Here are photos of the places I slept in 2014. 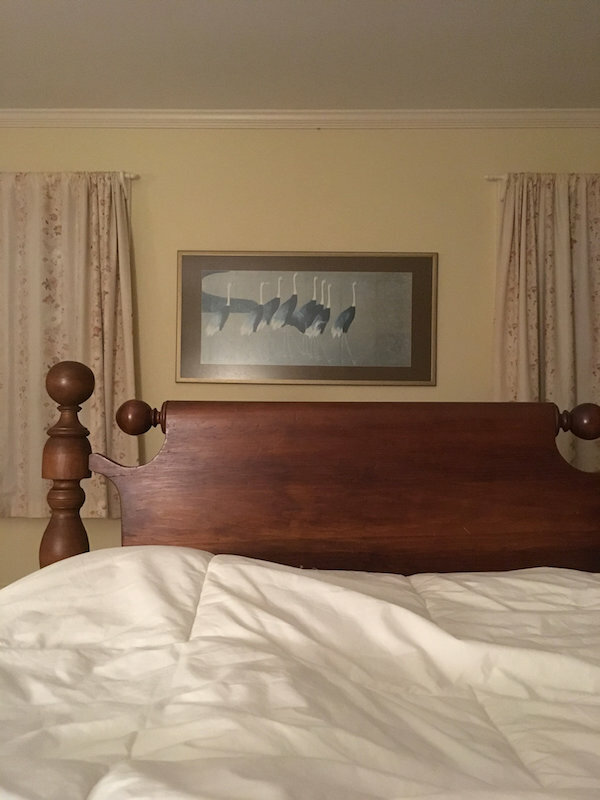 I know I didn’t keep photo-track of the guestrooms I stayed in during 2013, but I didn’t know it had been so long since I’d made a blog post about them. A few years? I’ve been traveling less (and enjoying it more) so a lot of last year was just me going to Westport or my sister’s place. A few notable trips: first visit to London and an epic journey to Mackinac Island. Here’s the list, it’s short. I decided to stop talking about traveling less and just … travel less. Sixteen places, six different states, two non-US countries. Stars indicate multiple visits to the exact same place. Past years: 2011, 2010, 2009, 2008 2007, 2006, 2005. Places I stayed in 2010. You’ll notice the list is significantly shorter and almost all of it takes place in one of three states: Vermont, Massachusetts (Westport, Amherst, Belmont, and Boxboro) and Florida. I only left the country once overnight. Nine different states, one province. This is some sort of progress. This coming year my plans are more or less the same. Somewhat less travel, fewer airplane rides, see how that feels. As before, stars indicate multiple visits to the exact same place. Numbers indicate number of distinct guestrooms at each location. Past years: 2009, 2008 2007, 2006, 2005. Places I stayed in 2009. I am hopefully not jinxing this by doing it three days early. This year I lived in one place for the entire year. I also had/have an out-of-town boyfriend so a lot of these places are his place. See it evolve! I’m pretty sure this is the zenith of days away, though maybe I always think that…. Thirty-five distinct places. Seventy-four photos. One hundred and sixteen nights, more or less. As before, stars indicate multiple visits to the exact same place. Numbers indicate number of distinct guestrooms at each location. Past years: 2008 2007, 2006, 2005.